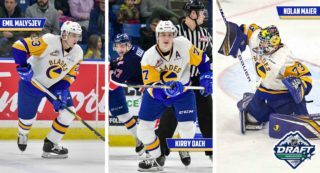 Two Saskatoon Blades rookies will be hitting the ice today at the World Under-17 Challenge as members of Team Canada Black. Aidan De La Gorgendiere and Kyle Crnkovic departed for New Brunswick last week in preparation of the one week tournament being hosted in Saint John and Quispamsis. 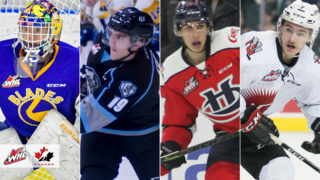 Both Crnkovic and De La Gorgendiere are among the country’s top 66 players who were divided into three rosters for Team Canada. They had a week of practice with their team which included one pre-tournament game against Finland on Thursday. Canada Black came out on top by a score of 4-2. 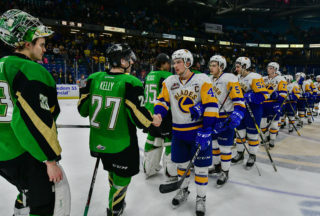 Kyle Crnkovic had 1 goal in the game. 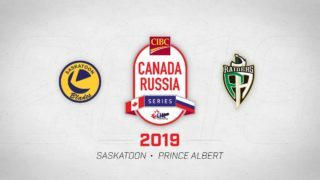 Kyle and Aidan will open the tournament this afternoon with Team Canada Black taking on Canada White at 4:00pm AT, 2:00pm local time in Saskatchewan. 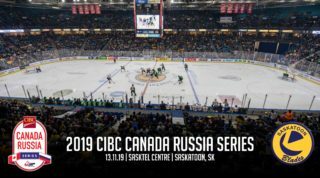 Their second game of the tournament is scheduled for 3:30 AT on Monday against Czech Republic, with the final round robin game taking place on Tuesday at 3:30 AT against the United States. The Blades also have three staff members representing Canada at the tournament. Associate general manager Steve Hildebrand is serving as the Director of Operations for Canada White. Blades equipment manager Chad Scharff is also on Canada White as their equipment manager, and Saskatoon’s mental performance coach Josh Hoetmer is with Canada Black in the same role. The tournament comes to a close on Saturday, November 10th, when both the gold and bronze medal games are scheduled for.